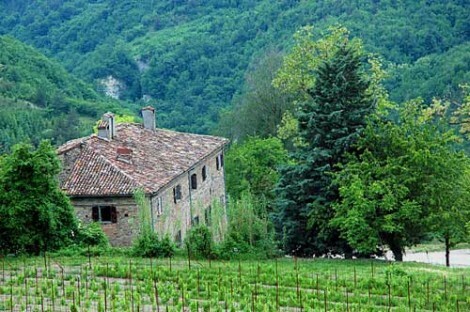 Emilia-Romagna is a rich, fertile region of northern Italy, and one of the country’s most prolific wine regions – more than 136,000 acres (55,000ha) were under vine in 2010. At 150 miles (240km) wide, it spans almost the entire width of the northern Italian peninsula, sandwiched between Tuscany to the south, Lombardy and Veneto to the north and the Adriatic Sea to the east. 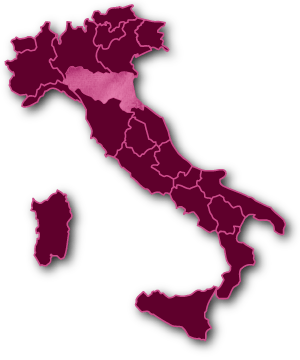 Nine miles of Liguria is all that separates Emilia-Romagna from the Ligurian Sea, and uniqueness as the only Italian region with both an east and a west coast. Emilia-Romagna’s viticultural heritage dates back as far as the seventh century BC, ranking it among the older of Italy’s wine regions. Vines were introduced here by the Etruscans and later adopted by the Romans, who used the Via Aemilia road (after which the region is named) to transport wine between its cities. The vine varieties used here for many centuries were of the Vitis labrusca species rather than the Vitis vinifera used around the world today; Emilia-Romagna’s famous Lambrusco varieties are derived from the Vitis labrusca species. The region’s geographical diversity is significant, and plays an important part in creating the various terroirs found here.